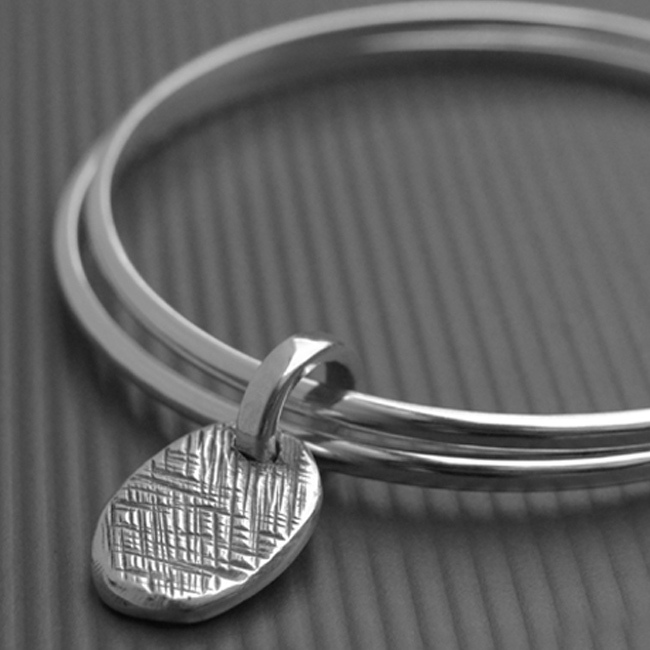 This beautiful nugget bangle comprises of two solid sterling silver bracelets held together by a solid silver nugget charm. 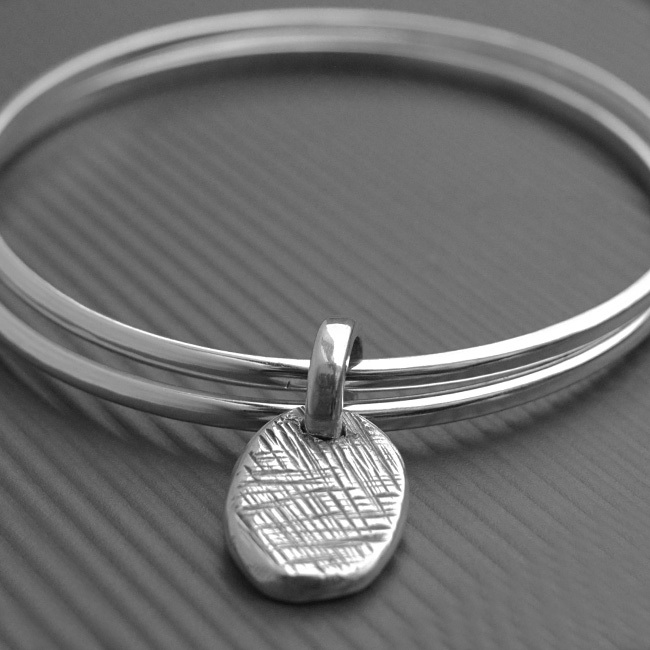 Two of the bands have highly polished finish. Unusual yet attractive piece. SKU: N/A. 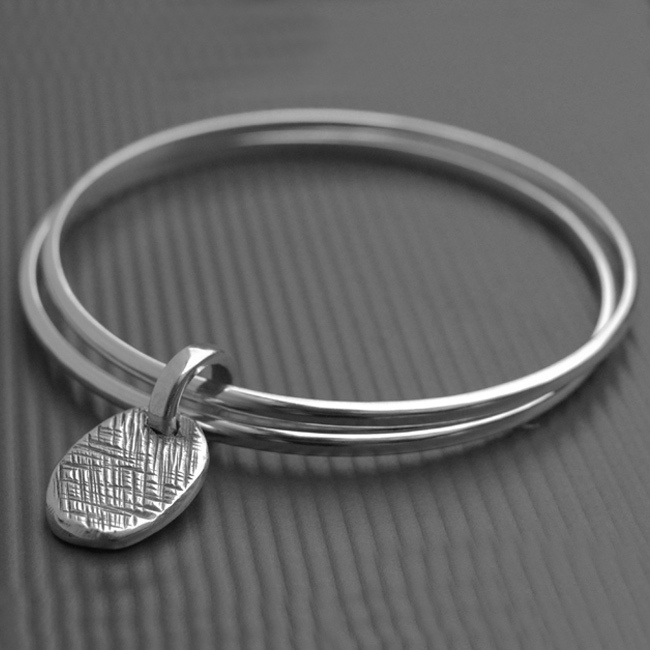 Availability: 1 in stock Size: N/A Categories: All Jewellery, Bangles, Commissions. 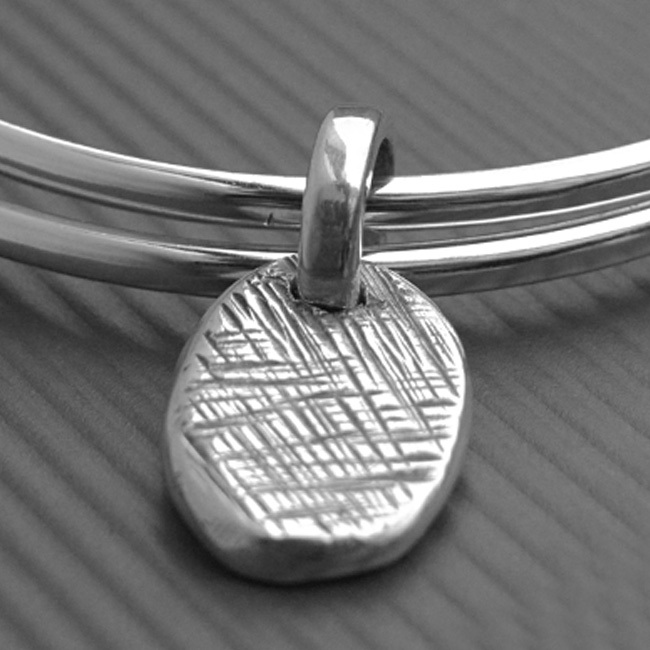 Tags: bespoke silver, engraving, hand engraving, handmade silver, jewellers, jewellery, jewellery designer, jewellery maker., liverpool, LWSilver, north west, nugget bangle, silver, silver bracelets, silver charm, silversmith, sterling silver, uk, wedding rings, wirral. What a thing of beauty. On one side of the nugget is my name, on the other is a wonderful fingerprint. Its just amazing that each item has this level of personalisation!! Also its very well made. Having warn it everywhere doing everything, it is still as it was when it came out of the box. Thanks LW Silver, for a job well done.